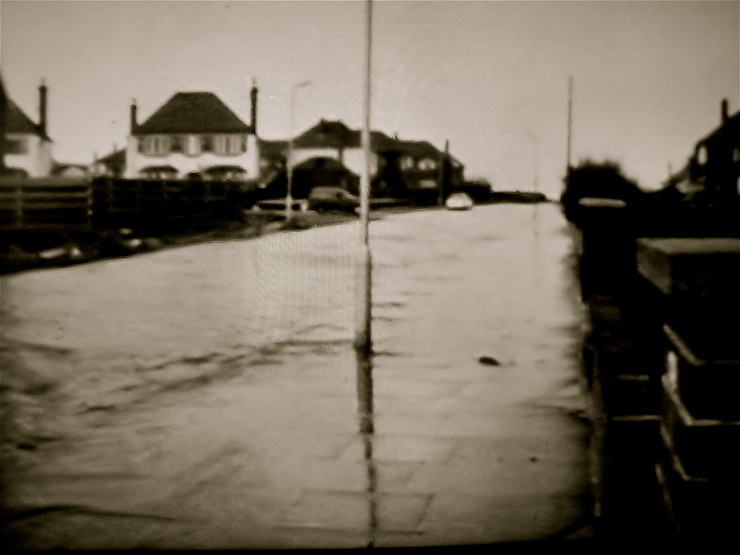 Many thanks to Frank Baker who sent me this photo confirming my memory of sea water flooding Bennetts Lane in Meols. Flooding is of course causing serious problems in parts of the country at the moment and we’re quite fortunate that here in Hoylake and Meols we’re not really affected by widespread flooding. I’d guess the area most prone to flooding is around Heron Road/Carr Farm Garden Centre? The recent storms, especially the storm surge at West Kirby and similarly at New Brighton, have demonstrated that Wirral isn’t immune to the adverse effects of bad weather. It was a big high tide again today but nothing of note has happened. The above photo was taken in 1976. So along with flooding that particular year brought heat wave and a plague of ladybirds! Off Bennetts Lane is Guffitts Rake …was ‘Guffitt’ a market gardener and what was so special about his rake? I remember this well and the sandbags across the gates. Since those days, we have now had the embankment built between Leasowe and Meols and the bottom of Bennetts Lane re-directed and built up – a real flood saver I think! Mind you, I also think Wirral seems to have it’s own “mini climate” we are extremely lucky compared to other parts of the country. Hot summer of 76, bought a second hand Mini Cooper off a pal on Meols prom. Went to collect it, it was so hot he’d left the windows open all morning after sprucing it up for me. Hideous sight on arrival, the interior of the car was completely covered with millions of ladybirds !! Couldn’t collect it for about two days !